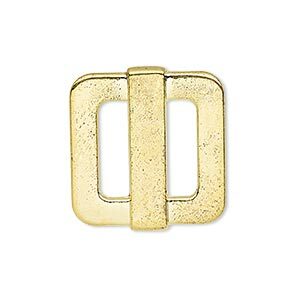 Slide, gold-finished "pewter" (zinc-based alloy), 25x23mm single-sided rectangle, 14x4mm hole. Sold per pkg of 4. Item Number: H20-A6021FN Have a question about this item? 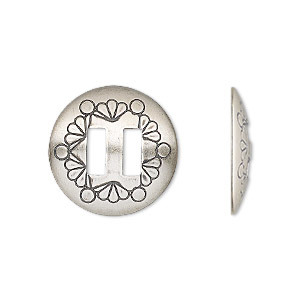 The slide is a type of fastener that is also used as an embellishment. Stringing materials such as ribbon, leather, suede or chain, as well as other materials, can be passed through the slide and secured to create bracelets and necklaces. 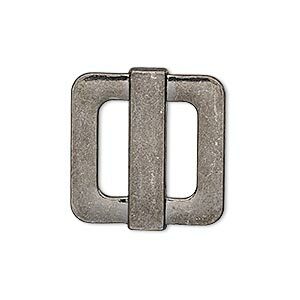 Slide, gunmetal-finished "pewter" (zinc-based alloy), 25x23mm single-sided rectangle, 14x4mm hole. Sold per pkg of 4. 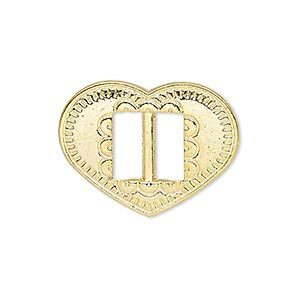 Slide, gold-finished "pewter" (zinc-based alloy), 27x21mm single-sided textured heart, 9.5x4mm hole. Sold per pkg of 4. 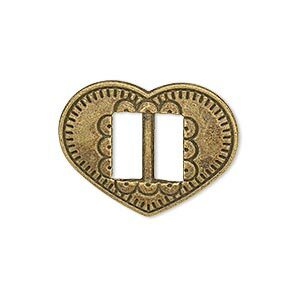 Slide, antiqued brass-finished "pewter" (zinc-based alloy), 27x21mm single-sided textured heart, 9.5x4mm hole. Sold per pkg of 4. 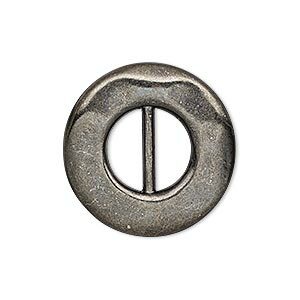 Slide, gunmetal-finished "pewter" (zinc-based alloy), 26mm single-sided dented round, 11x5mm hole. Sold per pkg of 4. 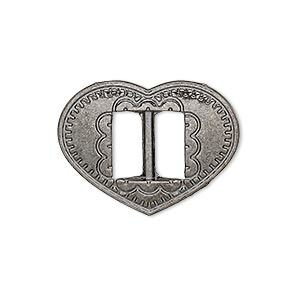 Slide, gunmetal-finished "pewter" (zinc-based alloy), 27x21mm single-sided textured heart, 9.5x4mm hole. Sold per pkg of 4. 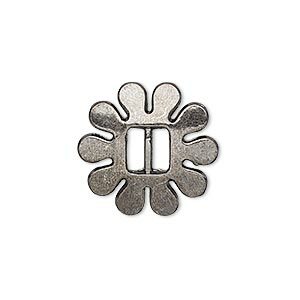 Slide, gunmetal-finished "pewter" (zinc-based alloy), 20x20mm single-sided flower, 6x2.5mm hole. Sold per pkg of 6. 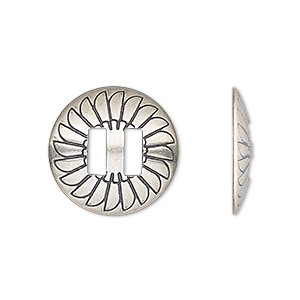 Slide, antiqued sterling silver, 19mm single-sided round Concho with fan design and 6.5mm bar, 6.5x2.5mm hole. Sold individually. 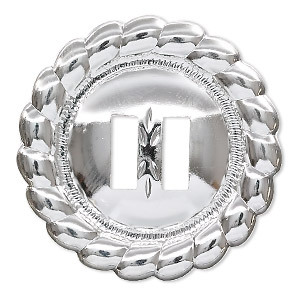 Slide, antiqued sterling silver, 19mm single-sided round Concho with fancy design and 6.5mm bar, 6.5x2.5mm hole. Sold individually. 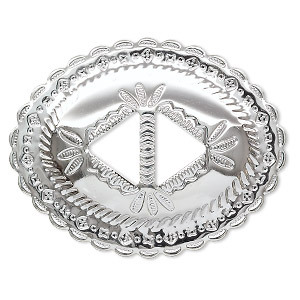 Slide, silver-plated steel, 3x2-1/4 inch oval. Sold per pkg of 4. Slide, silver-plated steel, 39mm round. Sold per pkg of 10.